How Does Volkswagen Car-Net® Work? You deserve to have easy access to everything from entertainment to emergency services, which is why Volkswagen Car-Net® is perfect for every driver. It's important to be connected with your vehicle at all times, and VW Car-Net® makes the relationship stronger than ever. Whether you want to queue up your favorite songs or remain safe in the event of an accident, the Volkswagen Car-Net® bundle acts as your best friends on every adventure. Visit our Volkswagen dealership in Huntington Beach, CA, to speak with our VW tech specialists so that you can learn all the benefits of this exclusive Volkswagen technology! If you want a better connection to your vehicle, then Volkswagen Car-Net® App-Connect is the answer you've been looking for. The VW Car-Net® App-Connect technology provides you with streamlined access to everything from music and maps to other favorite apps, which can be used via your vehicle's touchscreen. That means you can quickly pull up directions if you missed a turn or start a new playlist if you're beginning a new journey. And with luxuries like Android Auto™, Apple CarPlay™ and Mirrorlink®, you never have to worry about entertainment on the road! There's a lot more to enjoy than just Volkswagen Car-Net® App-Connect, however. When you buy or lease a new VW you can also enjoy Guide & Inform as well as Security & Service benefits. Volkswagen Car-Net® Guide & Inform offers perks like enhanced navigation with real-time traffic and quick access to sports scores no matter where to go. And with Volkswagen Car-Net® Security & Service, you'll be able to check your Volkswagen remotely or call for assistance during an emergency. Want to learn more about what's included in these Volkswagen Car-Net® packages? Contact McKenna Volkswagen Huntington Beach now! Does Every New Volkswagen Model Have VW Car-Net® App-Connect? Yes! Every new 2018 and 2019 Volkswagen model comes with available Volkswagen Car-Net® App-Connect. 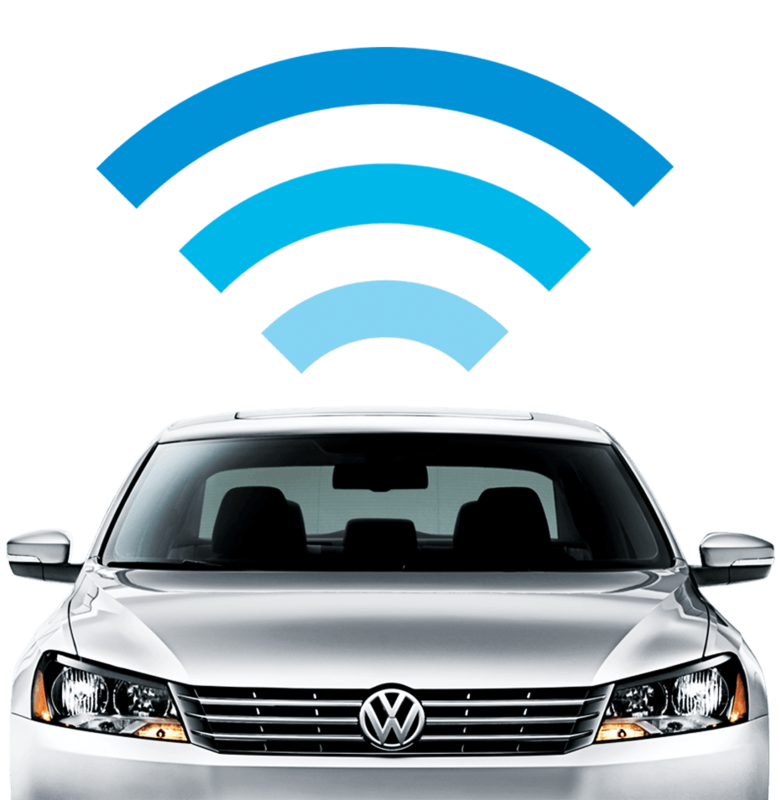 So, whether you want to lease a 2019 Volkswagen Passat or finance a 2019 VW Tiguan, you can take advantage of everything VW Car-Net® App-Connect has to offer. Schedule a test-drive at our Huntington Beach VW dealer and view our new Volkswagen inventory to find the right new VW model for you. To learn more about Volkswagen Car-Net® or for a customized walk-through of the VW Car-Net® App-Connect functionality, come visit our Orange County Volkswagen dealership and speak with our VW technology specialists!